When Deloris retired from her job at the U.S. Post Office after 31 years, she decided to start running. As a newcomer to sports at age 60, Deloris took her first step into the racing world with a 5K in June of 2013. The run was rewarding, but as Deloris neared the finish line, her energy dwindled. She had to stop and walk the last 200 yards. Determined to keep running and pursue a new, healthy lifestyle, Deloris found Mavie. 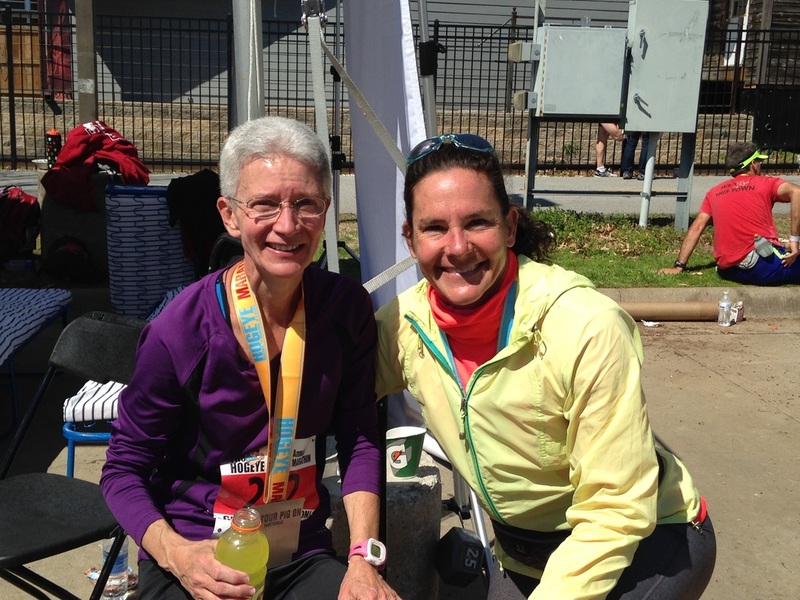 Deloris and Mavie met at a Hogeye Half Marathon training group in 2014, where Deloris was a novice runner. Inspired by her training and Mavie's coaching, Deloris signed up for the Strategic Nutrition and Fitness Performance Coaching Program. Mavie's 12-week program gave Deloris the support and information she needed. Each week, Deloris received a customized training program, personal training sessions, and sports nutrition guidance. Before long, Deloris was running farther, faster, and feeling better than she had her whole life. Deloris did complete her half marathon, and a year later, she had doubled the distance! Deloris and Mavie maintained close contact with weekly meetings, emails, and texts. Together, they ensured that Deloris was a healthy, injury free athlete. In March, 2015, Deloris ran the Hogeye Marathon. Mavie cheered at the finish line as Deloris completed 26.2 miles ahead of her goal time, passing through the archway at the end of the race with a big smile. Deloris still wakes up each morning and eats the breakfast Mavie recommends, and when she laces up her shoes and hits the road, she remembers the way it felt to cross that finish line. As for her next adventure, she's not sure yet what it will be, but she knows that when she does figure it out, Mavie will be there to help—every step of the way.